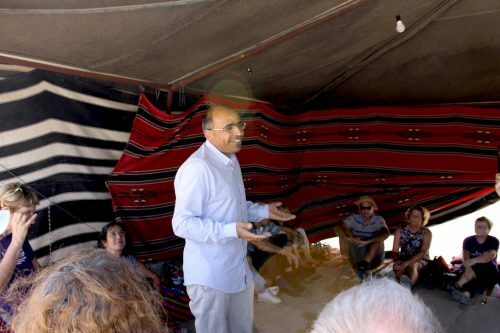 Putting Bedouin Villages Back on the Map! “Today, I’m happy and moved. We’ve just made history by marking the entrance of the A-Ser village! I’m joyous to see so many Jewish activists donate and come to our village.” These were the words of Hussein Al-Magira from the village of A-Ser earlier this week. 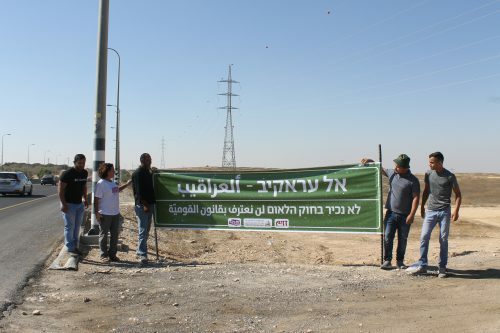 Now that the Nation State law has formalized the prioritization of Jewish towns, the unrecognized Bedouin villages face growing pressure of demolition and are fighting for their existence. 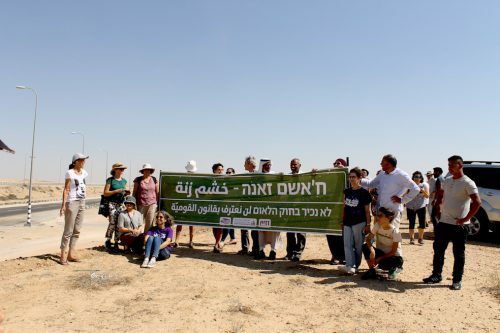 In solidarity, our community together with the local council of the unrecognized villages, Standing Together movement and the Forum for Co-existece in the Negev, decided to put the Bedouin villages back on the map! 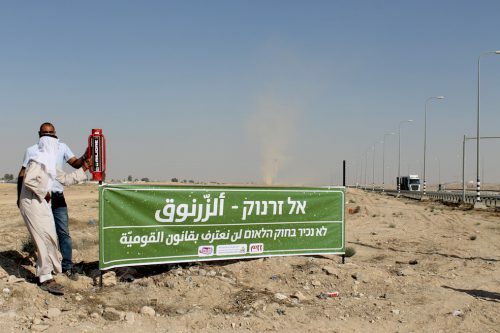 On the first day of Sukkot, thanks to the small donations of 105 Zazim members, we traveled across the Negev and put up road signs in Hebrew and Arabic to mark the entrances of the unrecognized villages. From Bedouin population transfers in the Negev to the racist Nation State law, our government is clear about what it wishes from its Arab citizens and Arab towns: to be invisible. But our community won’t let that happen. We will keep visiting the unrecognized villages, make space for the Arabic language and more.